If we have learned anything from this year’s Consumer Electronics Show in Las Vegas, it’s that Internet-based media is infiltrating the market faster than ever. GameStop, a popular brick-and-mortar game retailer, has grappled with translating its model to an online world for quite some time. As the general market abandons physical media, what is the company to do? That’s where Shawn Freeman comes in. Currently acting under the title of Senior VP and GM of Digital Business, he is certainly poised to take GameStop in a completely new direction. In a recent interview with IGN, Mr. Freeman discussed the strategies that executives of the company are generally optimistic about. ﻿”Having that exclusive content gives consumers reason to pre-order with us,” says Mr. Freeman, describing the retailer’s DLC (Downloadble Content) initiative. Recently, the company has been taking exponentially more aggressive steps to capture the DLC market, even going as far as to offering physical copies of downloadable content. “It’s better to give as a gift. It’s a better use of money,” Mr. Freeman explained, as it prevents user confusion when entering codes and dealing with console currency. GameStop also has a financial incentive to deal content in this way, as they get a bigger piece of the revenue through the sale of physical copies. While one could expect that this strategy will be seen in greater saturation, it does not come without criticism. Why would you want to buy two copies of a game from separate retailers to get a few extra maps or a special weapon? That would be completely ridiculous. Mr. Freeman described how exclusivity windows would prevent this from happening to users, but why would you want to wait to play a game with content that is outdated by the time you get it? 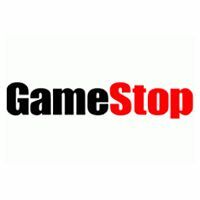 When asked about the possibility of implementing a business model akin to Netflix’s Instant Streaming service, Mr. Freeman responded positively, believing that one day GameStop will be the storefront for on-demand titles. “We’re one of the brands people know. We’re the best at understanding what the consumer wants. We’d love to be like the next Netflix for games,” he stated, ending the interview soon thereafter. What do you think? 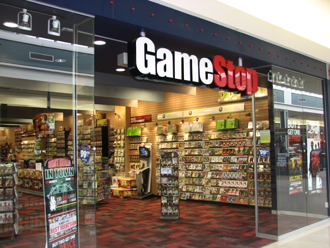 Will GameStop implement an on-demand service for games in the near future? Would you be interested in streaming games to your television? Let us know in the comments below.